The global market for cloud solutions and services is growing very fast. Predicting the rate of its increase is quite difficult, so the data of leading cloud computing companies often differ greatly. Nevertheless, they all capture the same trends of rapid growth of spending on cloud computing and associated market services, data centers, and data traffic in such systems. 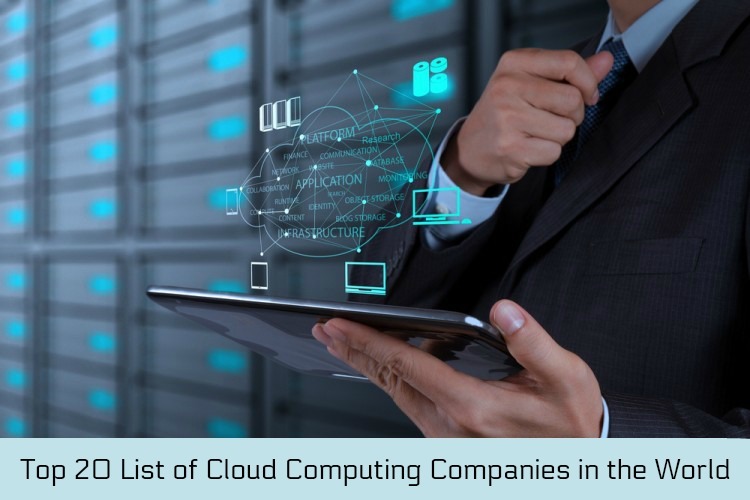 Here is the list of Top 20 cloud computing companies in the world. 20. ADrive: A cloud storage service that allows you to centrally work with your files: securely store, manage and share all your music, video, pictures and so on. ADrive gives only paid packages with free 60 day test period. 19. Dropbox: A cloud storage that allows users to store their data on servers in the cloud and share them with other users online. Its work is based on data synchronization. 18. 4shared: In the list of cloud computing companies in the world based on file-sharing hosting. Basic registration is free and allows you to download up to 10 GB in your account. After confirmation of registration by email, the volume is increased to 15 GB. After successfully loading the file, the user receives a unique link that leads to downloading the file. All uploaded files are stored for 180 days since the last visit to the account. Files of premium users are stored for the validity period of the account. 17. Mega (MEGA Encrypted Global Access): An ambitious cloud-based file sharing. Chip Mega encrypts all the content directly in the browser using the AES algorithm; users share files, while all data is stored in the cloud; access keys files are not published in open access and distributed under the scheme Friend-to-Friend, between those who trust each other. 16. SugarSync: Famous among cloud computing companies that store documents, files, photos, and music. Simple, affordable and convenient for different devices. To interact with the service there is the client program, with versions not only for Windows and Mac but also for Android, iPhone, Symbian. The number of synchronized devices is not limited. 15. Box.net: Cloud storage that lets you store your files in a network and jointly work on them. There is the ability to view office documents, as well as the opportunity to share the files or folders to colleagues directly from the mobile. 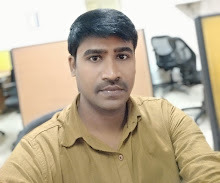 In addition, the developers managed to integrate in-app native search Android due to which the file search is faster and more accurate. 14. Syncplicity: A software package for data synchronization in cross-platform environments. Free 10 GB disk quota for user 1 and two computers. One of the benefits of Syncplicity is that there is no need to keep both computers sync after power up. 13. SpiderOak: One of the safest cloud storage services among the cloud computing companies. The developers claim that the password to access the account is not transmitted, and during the first login, a special key, which opens the access from the client's desktop to the cloud. 12. pCloud: A secure cloud storage of your files. Security is ensured by two approaches: first, all information is transferred to the pCloud servers using TLS/SSL Protocol and copied to at least 3 servers with different location in a highly secure data center; second, you can subscribe for pCloud Crypto ($3.99 per month) and use the advantage of impenetrable encryption client-side with a simplified interface to use. 11. iCloud Drive: A cloud storage from Apple. If you have an Apple device, then you have iCloud Drive already installed on the device. You just have to set up your iCloud account. However, many people do not know that you can use iCloud Drive with your PC. For data security, iCloud Drive encrypts the data with 128-bit AES encryption. 10. Amazon: The biggest player in the cloud sphere. Amazon owns several server farms distributed across the clusters of data centers. These clusters, in turn, are divided into smaller objects, and the size of them is not so great. For this reason, Amazon closed the list of the companies, owners of the largest campus data centers. 9. Apple: Until 2009, the company had not so many data centers as other cloud computing companies. After that, the management decided to build a data center in Maiden, North Carolina. The data center was built pretty quickly, and now the company has more than one DC in Oregon, Nevada, the USA and in Ireland and Denmark. Data centers serve iTunes and iCloud. 8. Equinix: Home to 60 data centers, with a total area of 557410 square meters. It provides interconnection of the networks of various companies. The first data center was built in Osborne in 1998. Campus Equinix has quickly become one of the largest and most famous. It is a place of about 200 networks of various telecommunications companies. 7. NSA: National Security Agency with extensive opportunities for wiretapping has the impressive network infrastructure. Public cloud services do not exist. 6. Digital Realty: One of the most famous players in the world of cloud computing companies. The largest data centers are located in Dallas, Santa Clara, and Chicago. 5. DuPont Fabros: Needs productive data centers, and creates them for itself. So, in Virginia, USA, it built a campus with data centers with a total area of 148644 square meters. The campus was launched in 2007 and now it is one of the largest in the world. The company itself and its partners invested more than $1 billion in infrastructure in this place. 4. Facebook: The campus data centers company in Prineville is a development of the idea of the Open Compute Project. Here the company installed a custom server, data warehouse. In the project was invested more than $780 million. 3. Microsoft: Another major player in the market of cloud computing companies. It owns no less than a large cluster of data centers. The largest is located in a small town with only 400 inhabitants. Microsoft Corporation is rapidly developing its cloud services, its relevance, and expanding its network infrastructure around the world. 2. Google Corporation: One of the first who began to work with the "clouds". In the process of development, the company built more and more new data centers and campuses. Now every four years the corporation spends $ 2 billion on the development of its infrastructure data centers. 1. Switch Supernap: The largest campus of data centers was built by Switch. The campus from Las Vegas is called simply - Supernap. They are the part of one grandiose project. The total production capacity of the whole complex is about 135,000 m2.